PulpTech is proud to announce a new partner, Hans Jakob Papiertechnik AG. Hans has 18 years of experience with steam showers and steam control systems. He got his start in steam showers with Devron and then with Transphase Engineering. In 1999 he launched his own company and has since built and delivered 40 HSMDS (High Speed Multijet Diffuser System) Steam Showers Systems all over Europe. Major companies like UPM, StoraEnso and Norske Skog have chosen Hans U. Jakob not only for technical reasons but also for the quality of the workmanship. HSMDS Steam Showers for special applications such as curl control, suppercalender, etc. 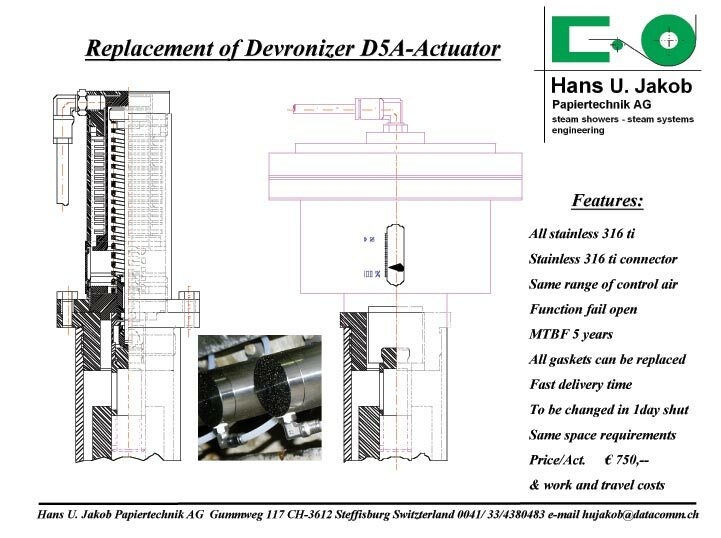 Are your Devronizer D5A-Actuators giving you problems? 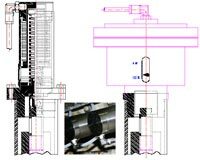 Have a look at this actuator replacement opportunity. Highly developed solutions and systems for delicate applications. Individual and compact designs for versatile installations including sliding-out systems. New developments for your specific machine environments. Saturated steam temperature at inlet without dripping – (much higher performance due to better condensing) All competitors have to run superheated to prevent dripping.